Today, October 13, is Ada Lovelace Day and we’re joining people around the globe in celebrating the achievements of women in science, technology, engineering and maths. There are a number of events taking place today. See here to find an event in your area. In keeping with today’s celebration, we’d like to share more about the Foundation’s efforts to recruit more women to the Project. If you’ve attended any of the Foundation presentations over the last few months you’ve heard us talk about this, and we’re currently working with other members of the community to further these goals. 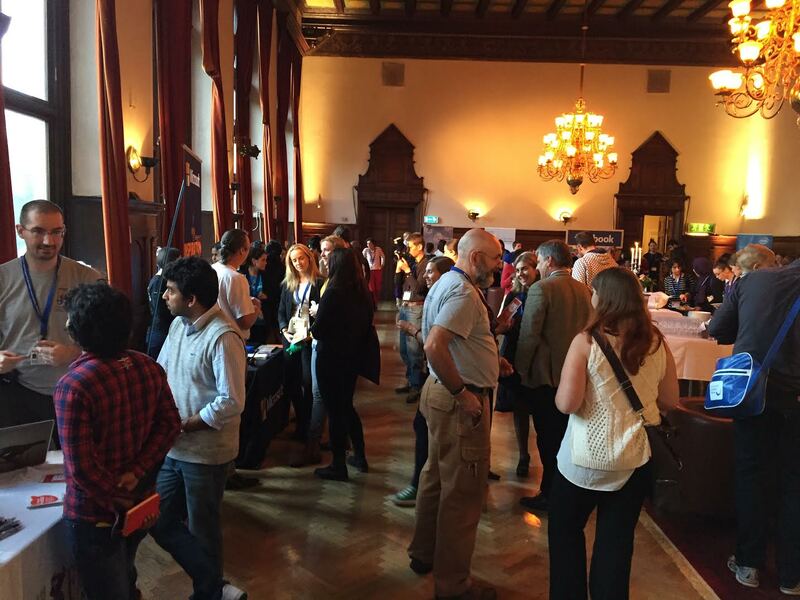 As we mentioned in our last newsletter, we sponsored and presented at WomENcourage 2015 in Uppsala, Sweden. The first day of the conference was a job fair, and we were the only open source project to participate. Even though this was a women in tech conference, there were many men who attended the conference too, and we had both women and men stop by our table to talk about opportunities in the FreeBSD Project. Though we weren’t there to offer jobs or internships, we did showcase how the FreeBSD Project offers great opportunities to gain job skills by working on a software project as a developer, coder, writer, administrator, and other areas that someone might want to get involved in. We focused on the fact that working on the Project allows you to work on what interests you; have great mentors to help you; find your own niche; and offers the opportunity for your work to be publicly available for companies to see. The second day of the conference we were on a panel covering Careers in Open Source, All the panelists and the moderator were members of the FreeBSD community. We had a great turn out, and could have talked about the opportunities on an open source project way past our allotted hour. After our panel, we had a table in the conference hall, so people could stop and talk to us. Professors were interested in the FreeBSD curriculum and a few wanted to host FreeBSD events at their universities. This week, we’ll be joining thousands of other women in computing at the Grace Hopper Conference in Houston, TX. I’ll be joined by former FreeBSD Google Summer of Code student, Shonali Balakrishna, who will help me introduce attendees to the Project and share with them her experiences and the benefits of being involved with this community. In addition to attending conferences, we’re also working with Dru Lavigne and others in the community to create a FreeBSD Bootcamp aimed at introducing FreeBSD to young women ranging from middle school to college age. This follows on the heels of our first FreeBSD middle school class, currently being taught by Justin Gibbs and me in CO.
We’re very excited to take these first steps towards reaching our recruitment goals. We will continue to work with others (both women and men) within the Project and outlying communities to discover more areas for outreach, improvement, and growth to help make working on the Project a positive experience for everyone involved. Stay tuned for more updates from the Grace Hopper Conference as the week goes on. Finally, thank you to everyone who has donated to the Foundation to help us move forward with our goals. Your support allows us to continue our mission to advocate for, improve on, and grow the FreeBSD Project.